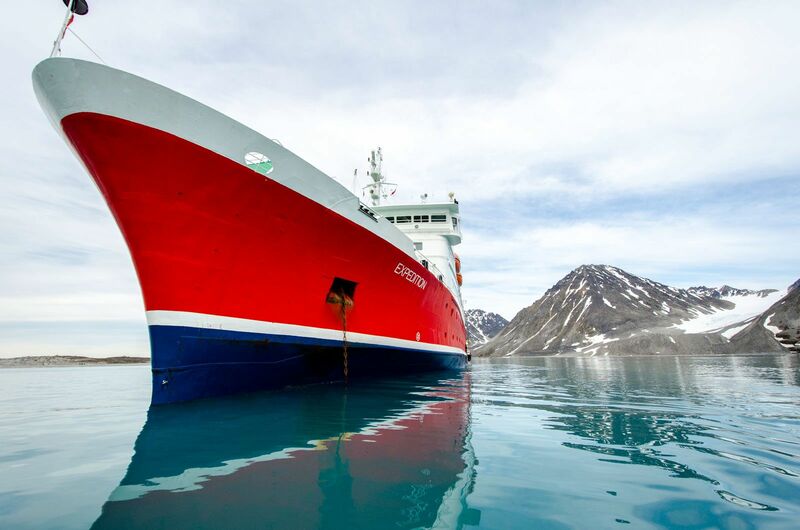 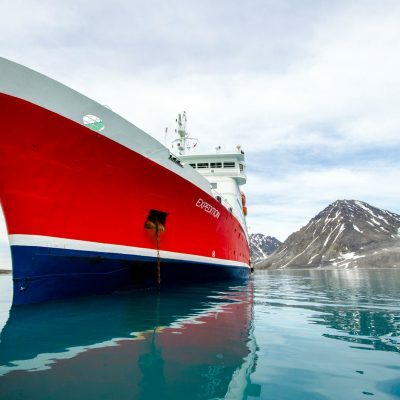 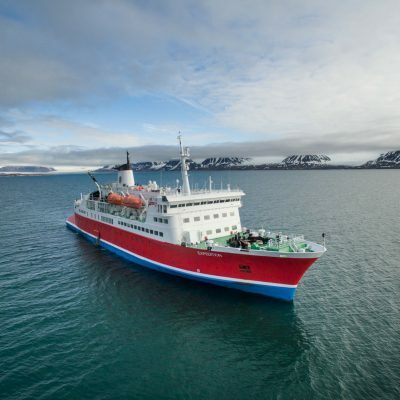 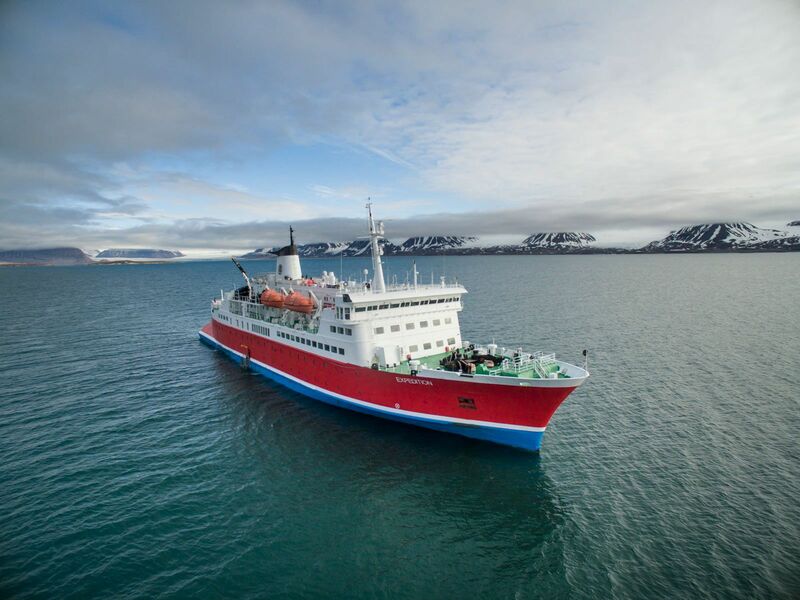 The eye-catching G Expedition (formerly MS Expedition) is Danish-built and newly refurbished, offering spacious and comfortable accommodation for up to 134 passengers. 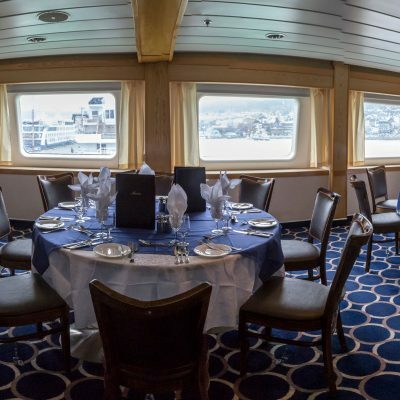 She boasts spacious cabins, each featuring ocean-facing windows or portholes and private en-suite facilities. 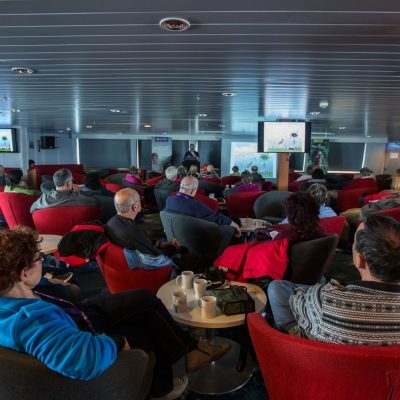 Large common areas and observation decks provide panoramic views of the distinctive landscapes of some of the world's most remote regions. 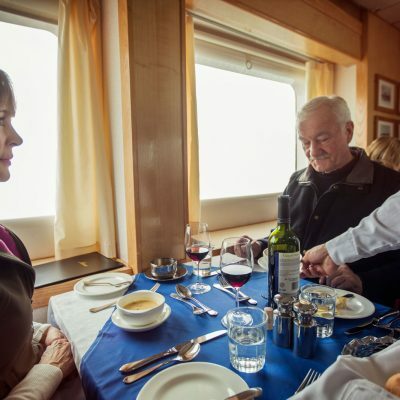 Amenities include the Polar Bear Pub, expedition lounge and Albatross Bar, fitness centre/sauna and a fine dining room serving international cuisine. 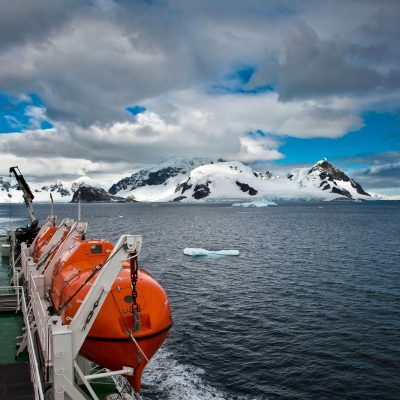 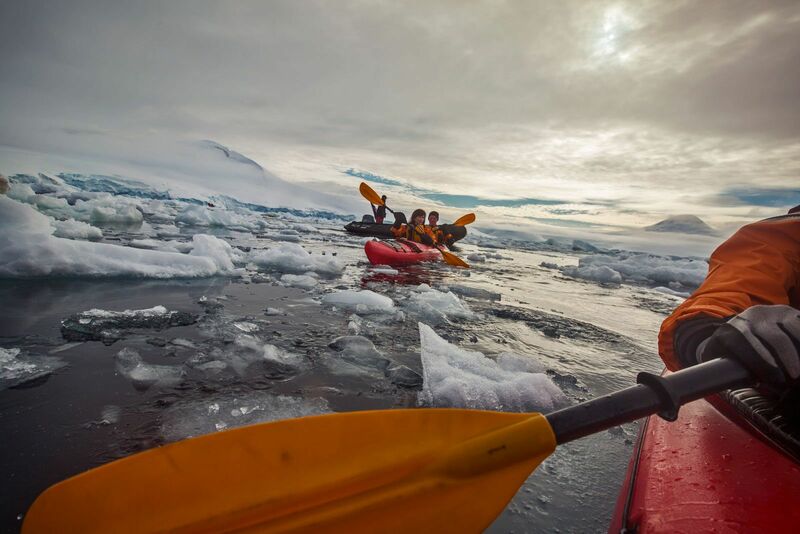 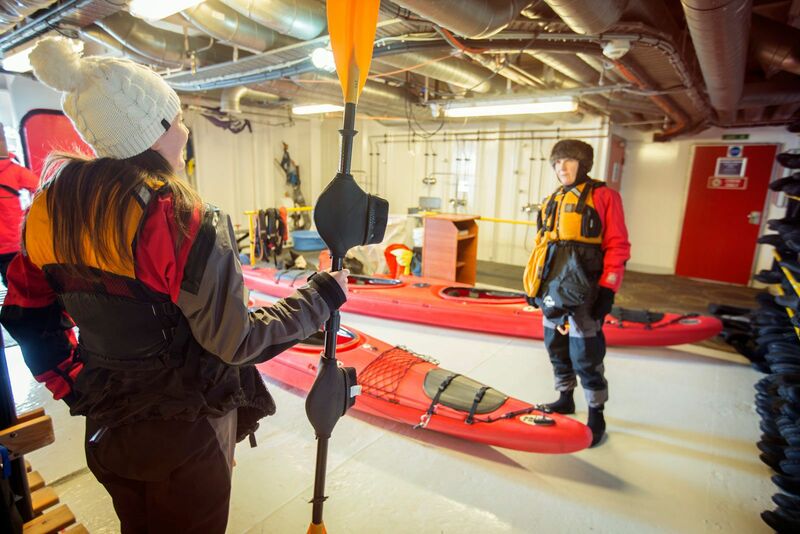 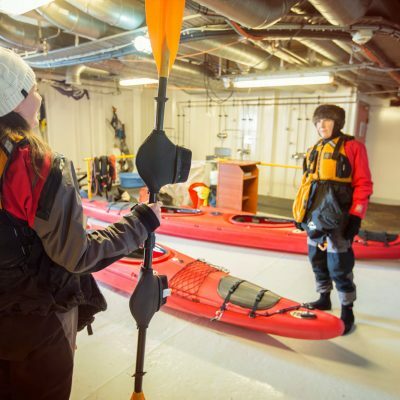 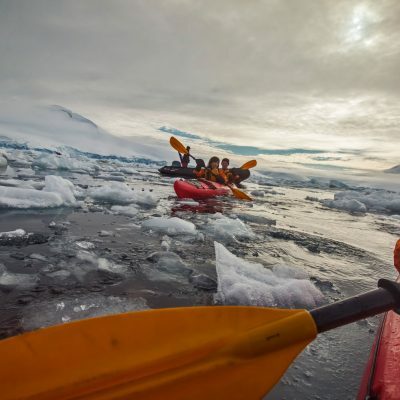 The vessel has sufficient zodiacs to have all passengers on the water at once and offers optional activities such as kayaking and camping on selected departures. 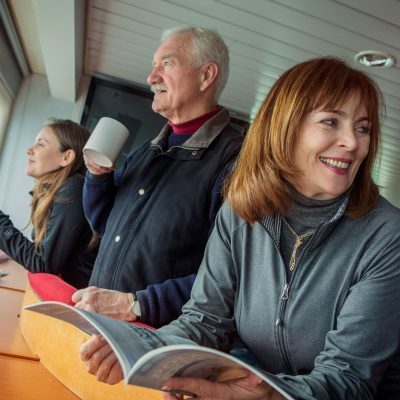 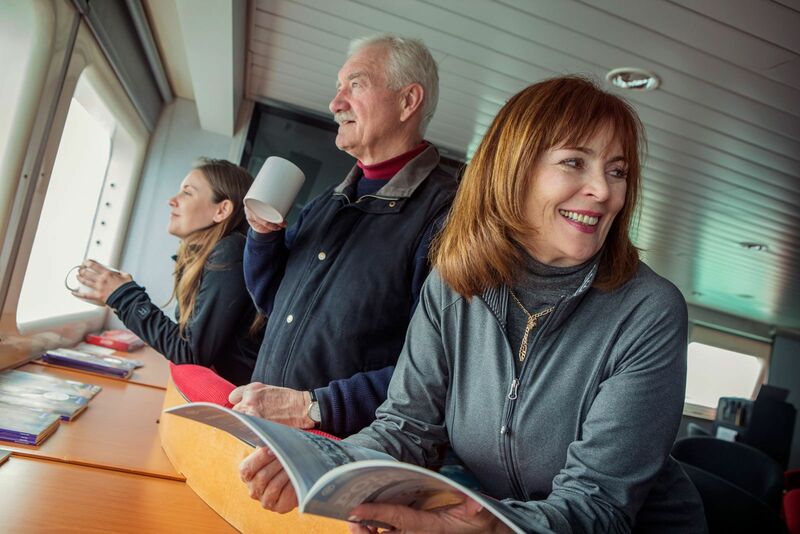 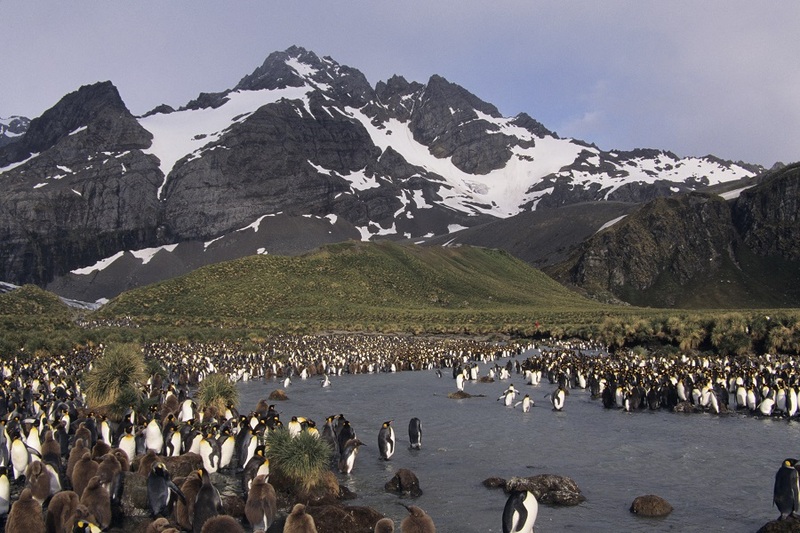 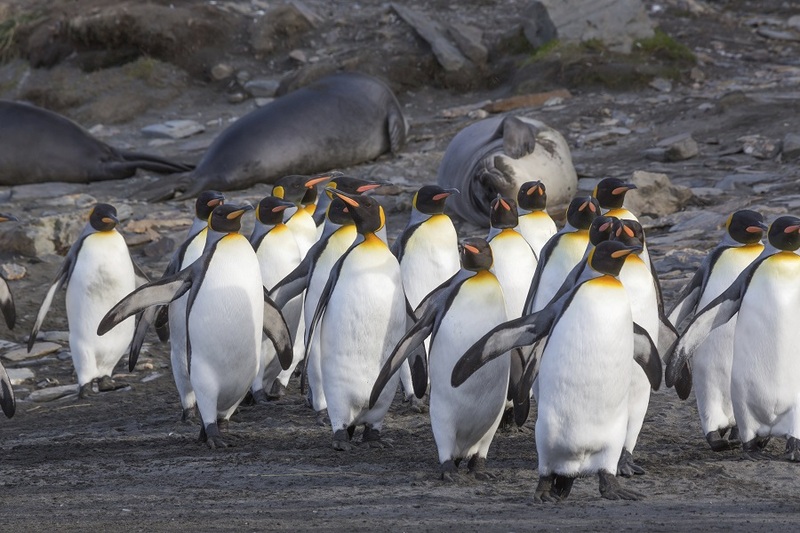 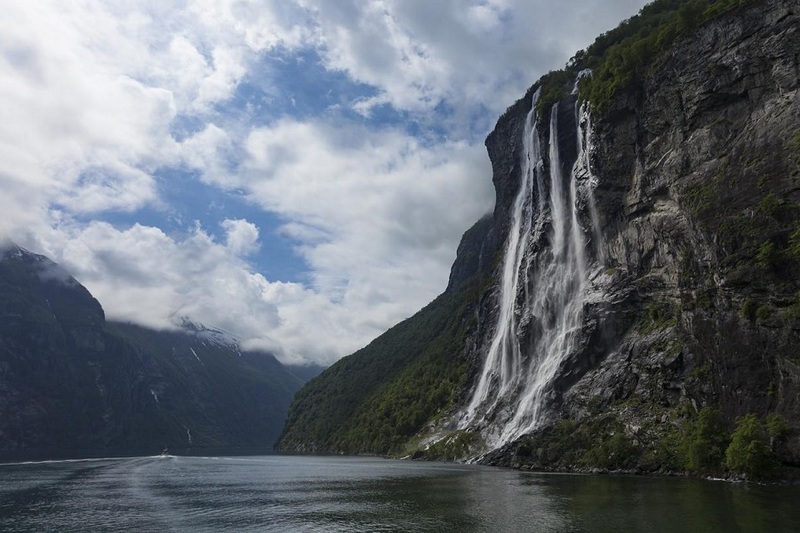 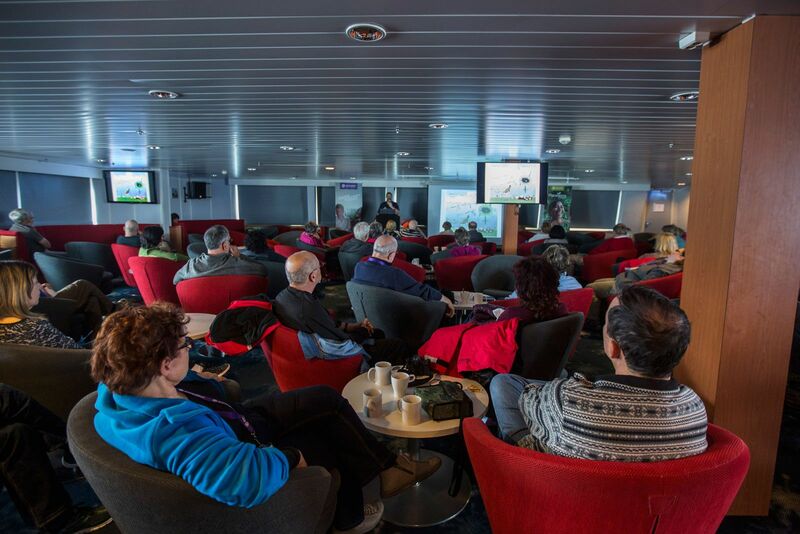 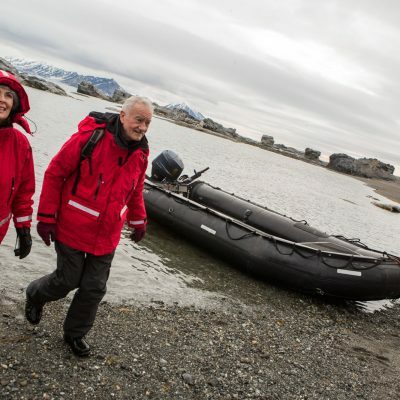 Complimentary Wellington Boots are provided for the duration of your cruise and you also receive a complimentary expedition jacket which is yours to keep after your cruise. 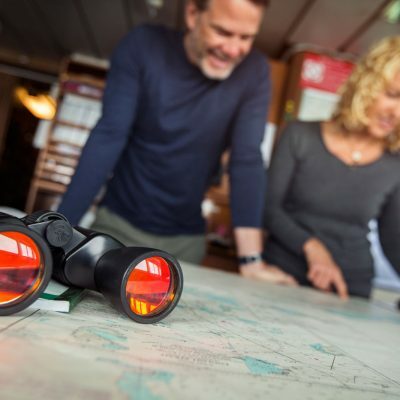 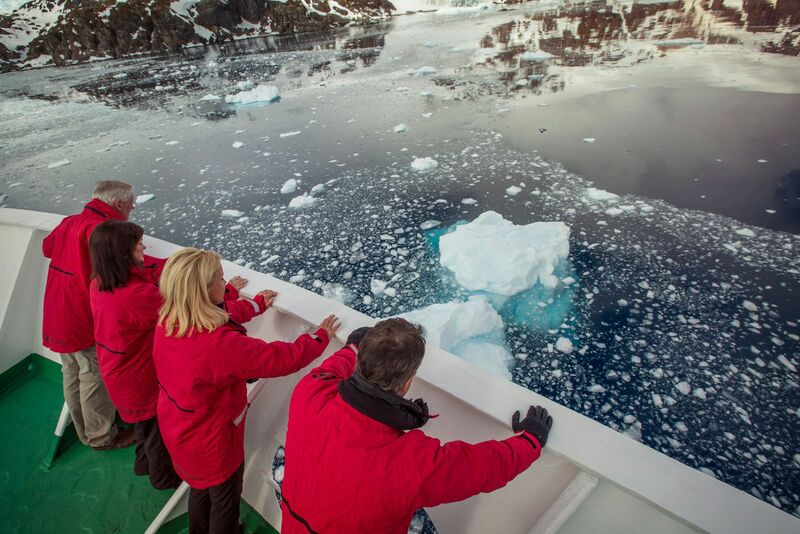 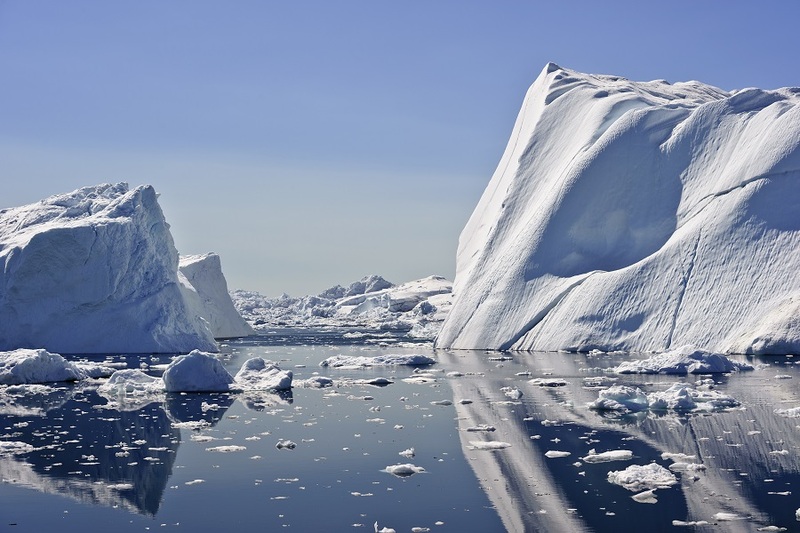 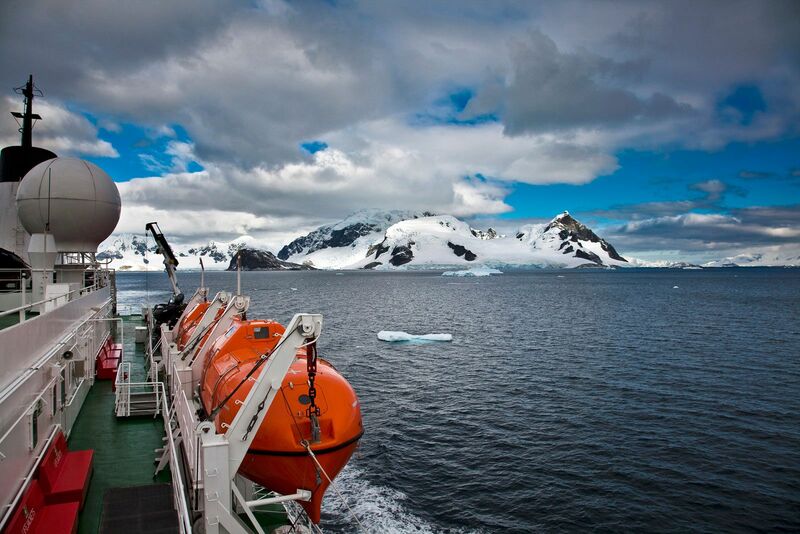 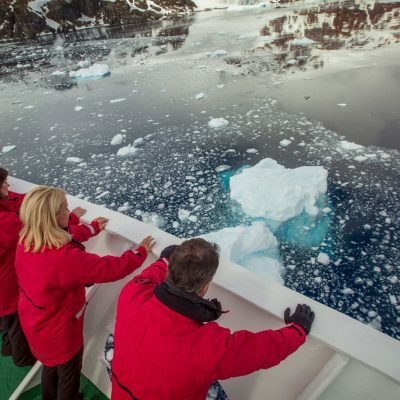 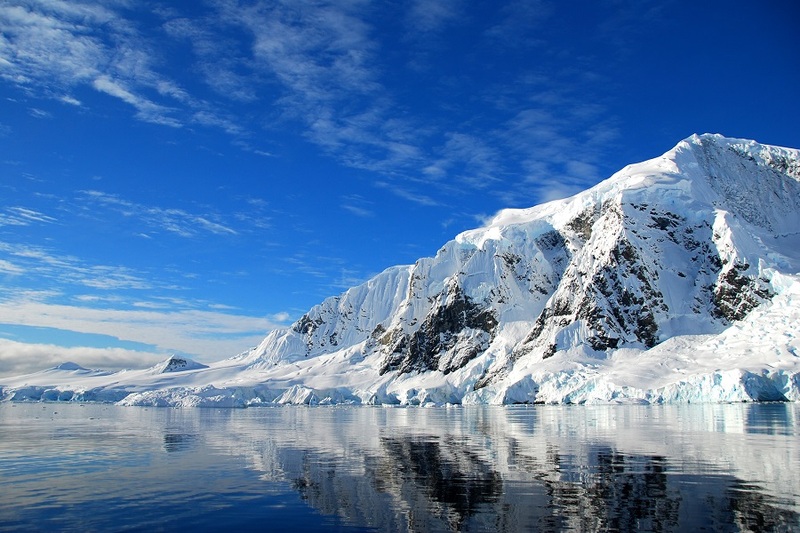 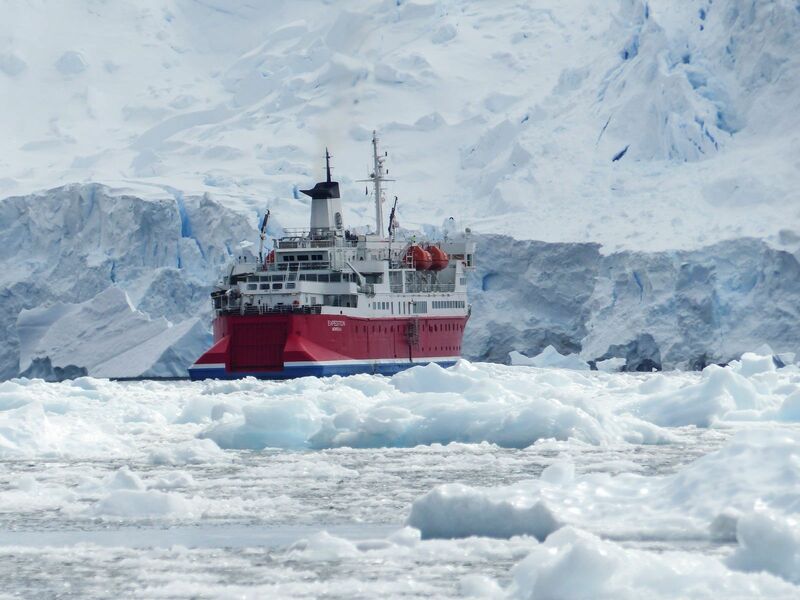 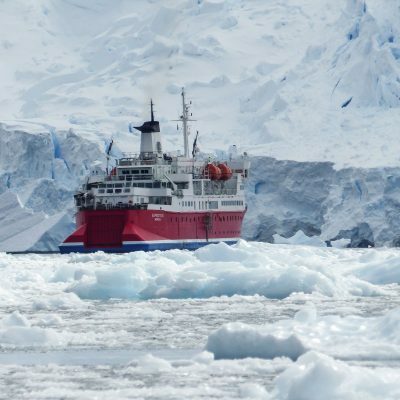 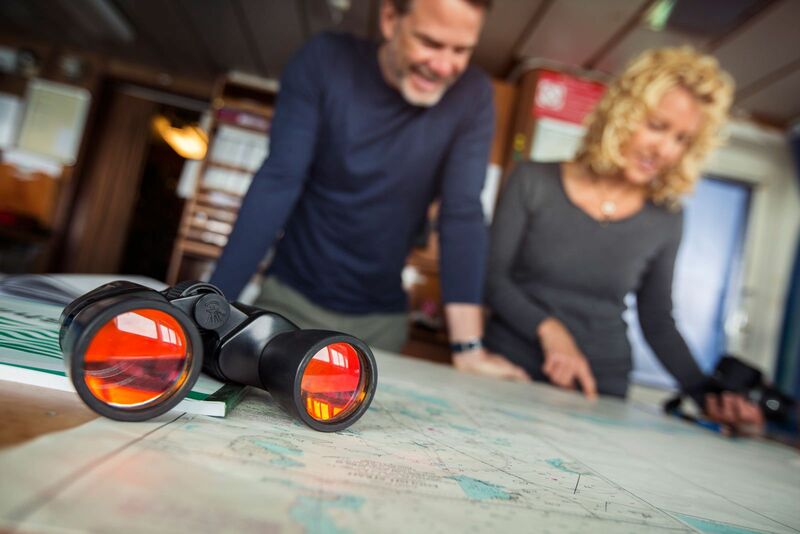 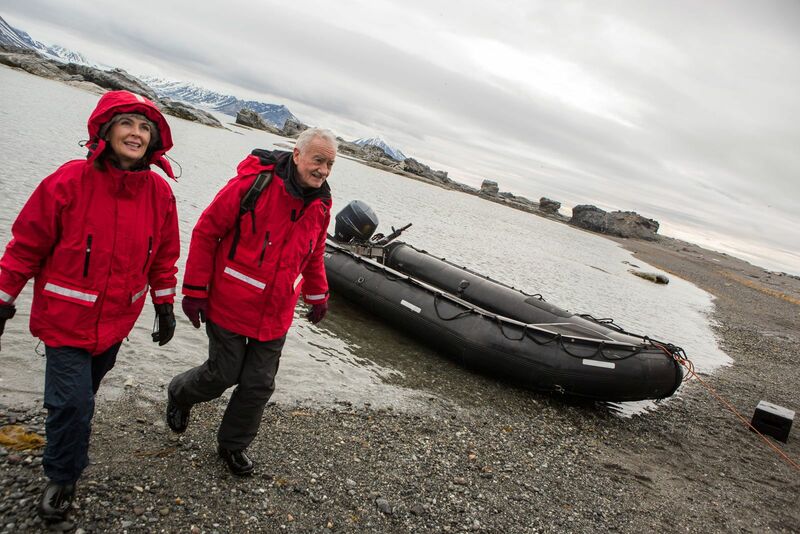 With a focus on top of the line safety, comfort and the unique demands of polar travel, the G Expedition is one of the world's leading polar expedition cruise ships. 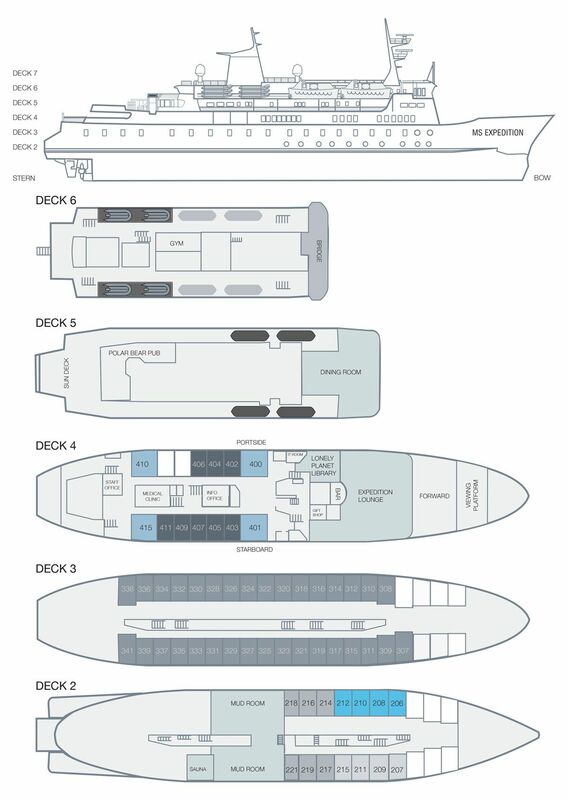 The G Expedition offers spacious cabins, each featuring portholes or ocean-facing windows, wardrobes, drawers, nightstands, writing desks and private en-suite bathroom facilities. 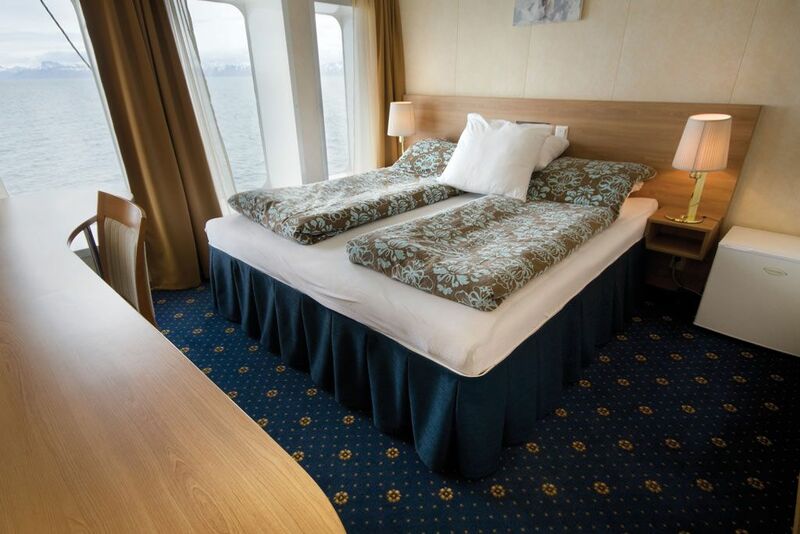 Daily cabin service makes sure your stateroom is clean, warm and inviting. 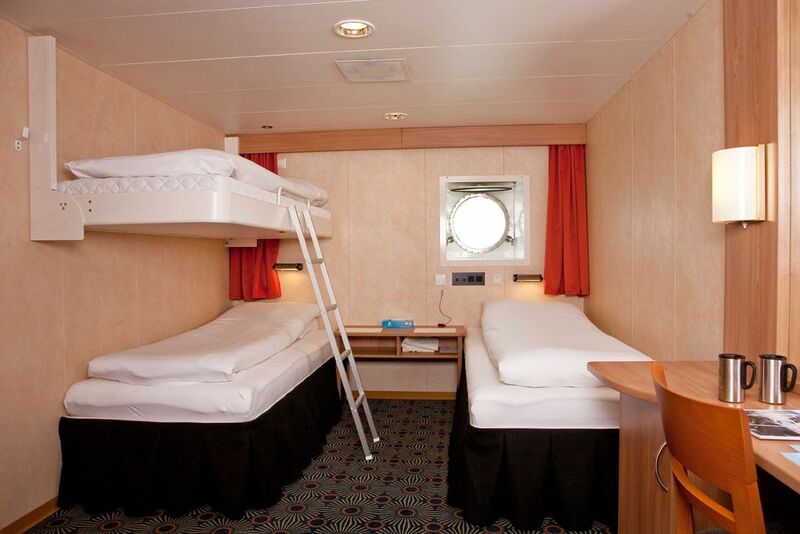 Quad share cabins feature 2 upper and 2 lower berths, private bathroom and porthole windows. 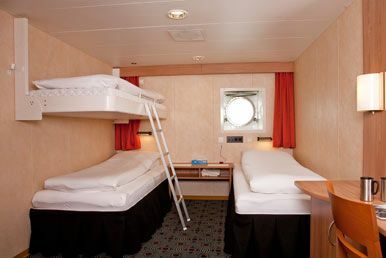 Located on Deck 2 these cabins are approximately 15 square metres in size. 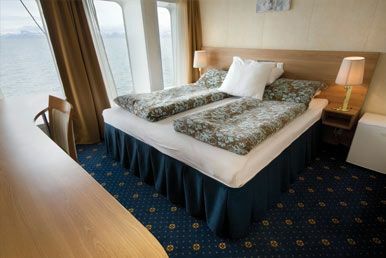 Triple share cabins feature 1 upper and 2 lower berths, private bathrooms and porthole windows. 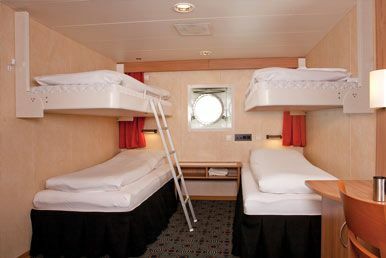 Located on Deck 2 these cabins are approximately 15 square metres in size. 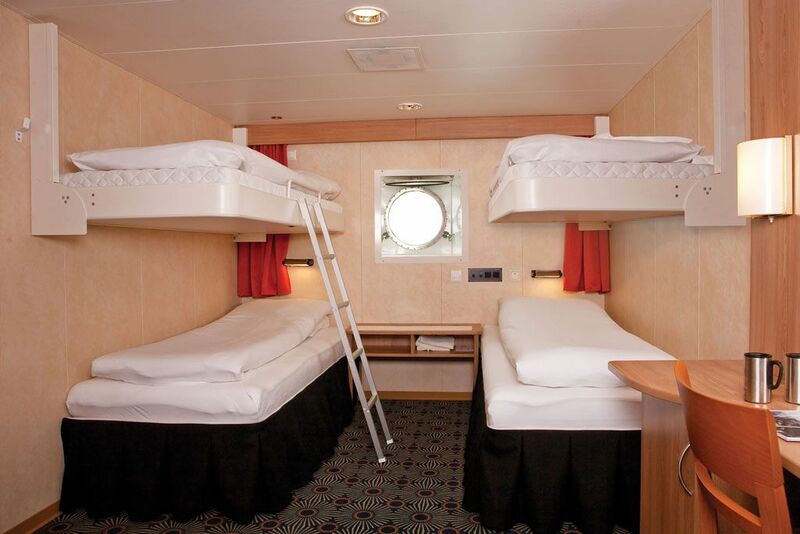 Category 2 twin share cabins feature 2 lower berths, private bathrooms and porthole windows. 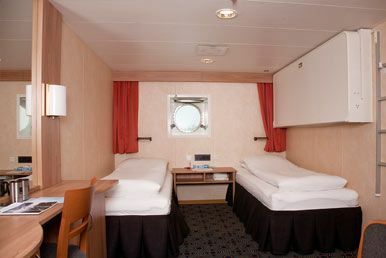 Located on Deck 2 these cabins are approximately 15 square metres in size. 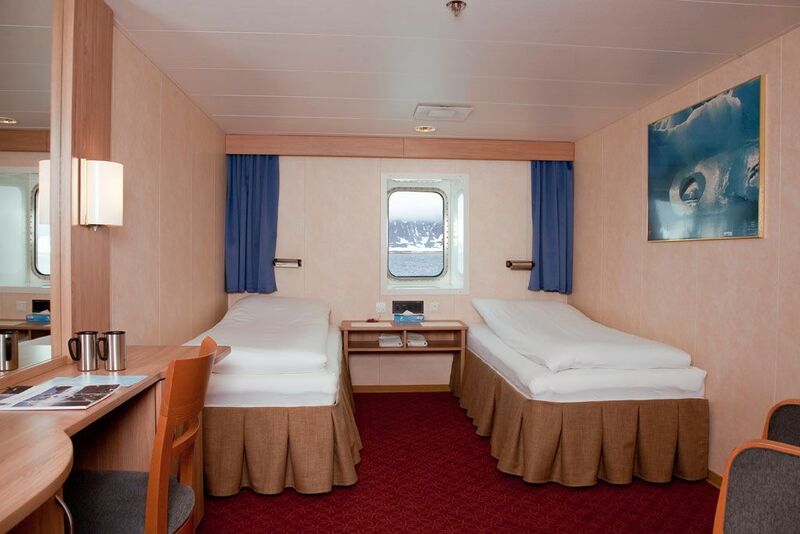 Category 3 twin share cabins feature 2 lower berths, private bathrooms and picture windows. 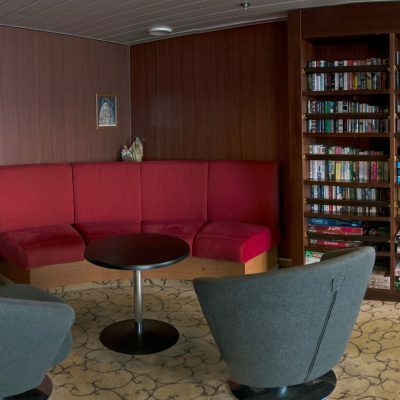 Located on Deck 3 these cabins are approximately 15 square metres in size. 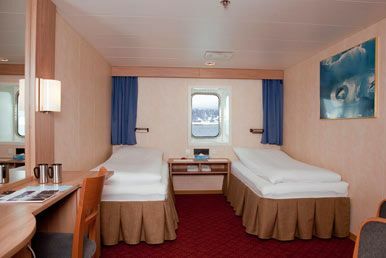 Category 4 twin share cabins feature 2 lower berths, private bathrooms and large picture windows. 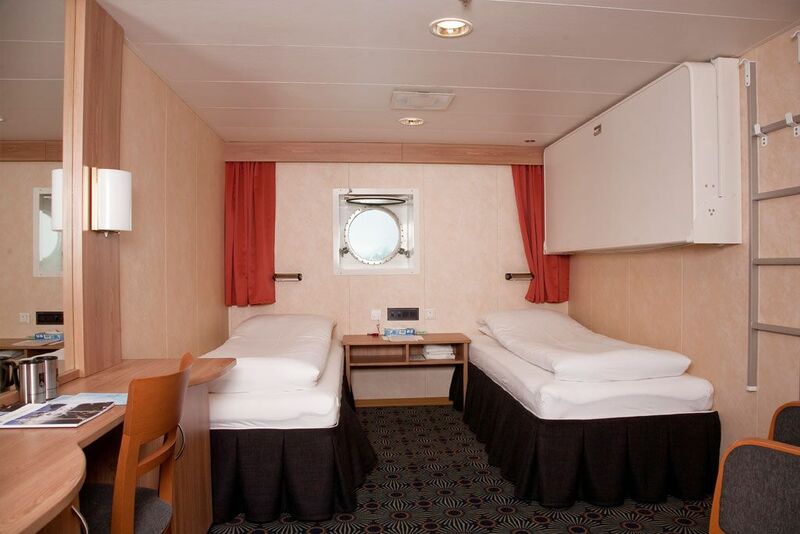 Located on Deck 4 these cabins are approximately 15 square metres in size. 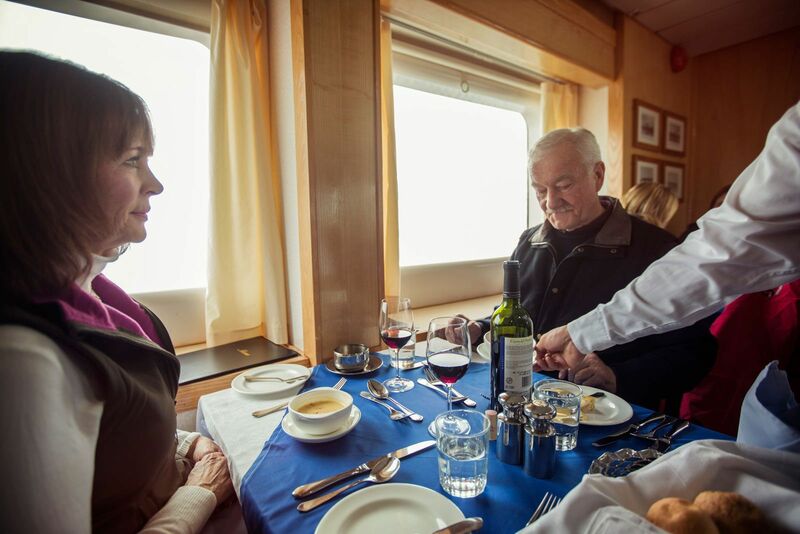 Category 5 suites feature extra-large windows, separate entrances and living and sleeping areas. 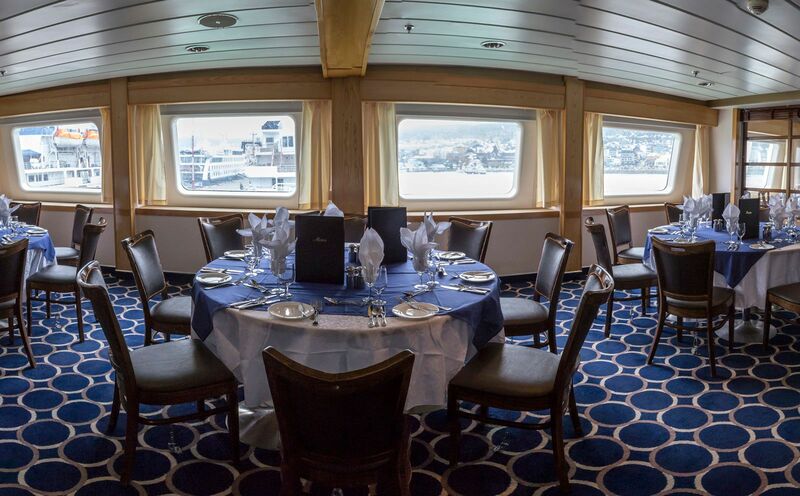 Suites 400 and 401 feature floor-to-ceiling-windows. 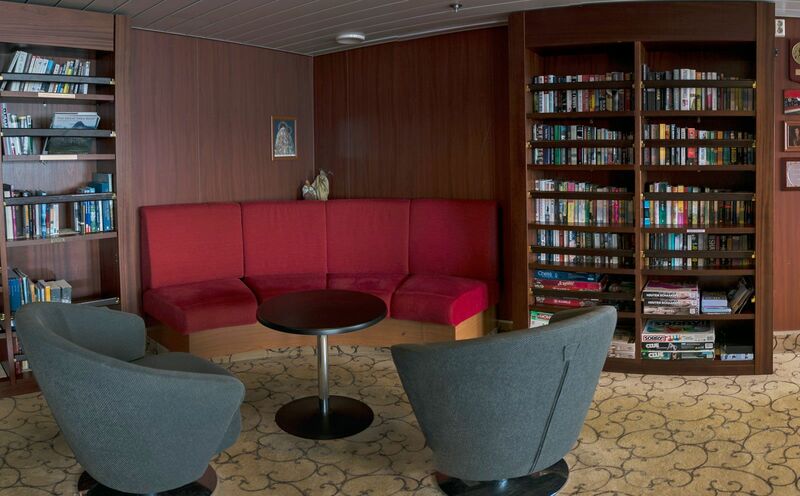 Each living area boasts a two-seater couch, armchair, coffee table and desk, while the bedroom contains a queen bed and vanity area. 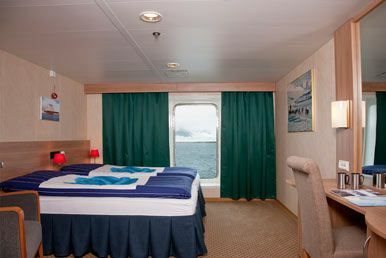 Upgraded en-suite baths include full-body misting steam showers. 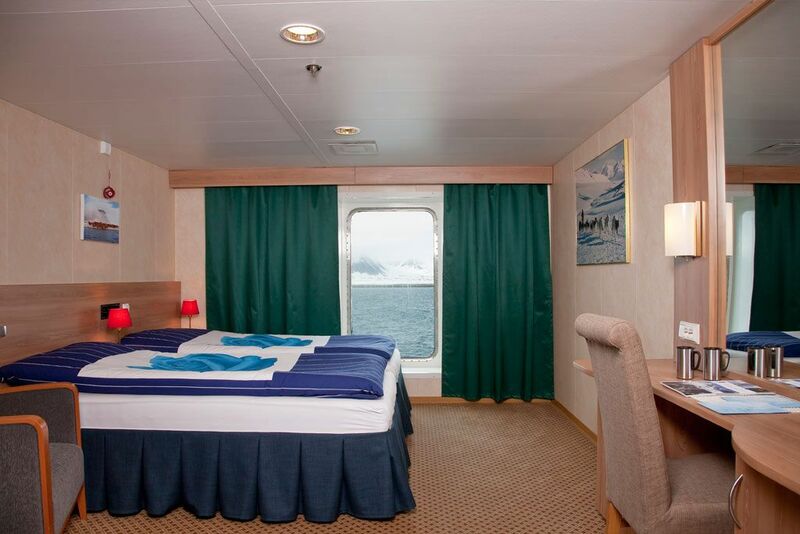 Located on Deck 4 these cabins are approximately 30 square metres in size.